Support of excellent research of Ivana Miháliková – Ústav fyziky materiálů AV ČR, v. v. i. The diploma thesis of Bc. Ivana Miháliková will be in 2019 supported by the Rectr´s programme – Excellent diploma thesis grant of the Grant agency of the Masaryk University. The diploma thesis of Bc. Ivana Miháliková from the Department of Condensed Matter Physics, Faculty of Science, Masaryk University, entitled „Extension of solid-state quantum-mechanical calculations from classical computers to quantum ones“ will be supported by the Rectr´s programme – Excellent diploma thesis grant from the Grant agency of the Masaryk University. The thesis is supervised by Mgr. Martin Friák, Ph.D. from the Institute of Physics of Materials, Czech Academy of Sciences, and co-supervised by RNDr. Matej Pivoluska, Ph.D. from the Institute of Computer Science of the Masaryk University. The funding will be used for, e.g., participation of Bc. 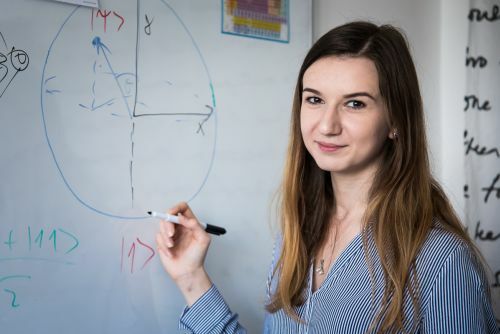 Miháliková at the Radboud University Summer School „An Introduction to the Theory and Practice of Quantum Technologies“ in Nijmegen, The Netherland, July 8 – 12, 2019.